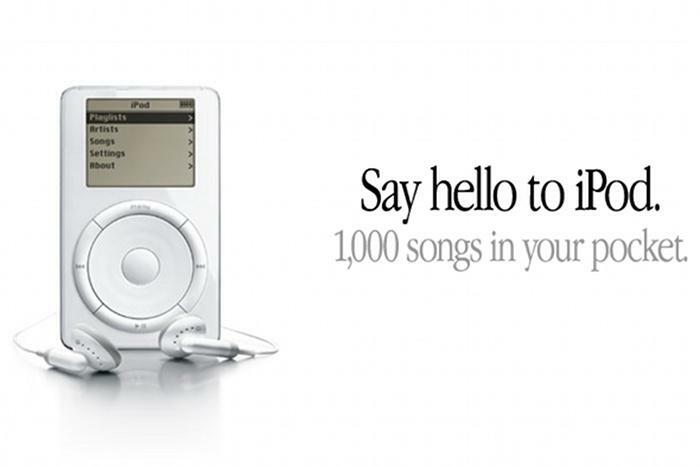 The original iPod advertisement that appeared on the Apple website front page on October 24, 2001. Ten years ago in October, Apple announced a game-changing device: the $500 5GB iPod Classic. This Tuesday the iPod Classic (now $299 with 160GB storage), with its signature click wheel design and massive storage capacity, is rumored to play its last digital tune. All signs point to Apple discontinuing iPod Classic as it focuses on the iPhone, iPad, and iPod Touch.